3RW’s Jerome Picard has given a presentation entitled ‘Cultivated Landscape’ in this year’s Health: The Design, Planning and Politics of How and Where We Live Conference in Bristol. About Picard’s presentation: The question “what is the city?” in Norwegian culture today resists being settled and seems instead to take several leads. In a country where only 2% of its land is urbanized, and 80% is cultivated Nature, it is often retrograded behind the question ’’what is nature?’’ and cannot stop being intertwined to the faith of the city. Today more than ever, healthy living spaces are directly intertwined with healthy cultural and work spaces. Although housing appears to be the main element that constitutes the city, others genres actively participate in the definition and diversification of the city’s fabric. Workspace in conjuncture with housing can support cross-sector synergy, able to propose more sustainable, healthy living environments. This is the case whether it addresses the diversification of monofunctional peripheral neighborhoods or the renewal and intensification of urban centres. Ultimately, it is the idea of public space that is at stake, the creation of multi-modal networks, the hierarchy of different collective spaces with degrees of publicness, that create enjoyable and performative public spaces. The private sector at the same time plays an increasingly important role in shaping our built environment, an opportunity for architecture to harness and build-upon this mutual interest. In this verbal presentation, Picard brings these themes together in order to shed a light on the civic landscapes that support qualitative and successful neighbourhoods. He will use 3RW arkitekter’s portfolio of integrated health-care architecture and urban renewal projects in Norway to analyse the question of Cultivated Landscape. 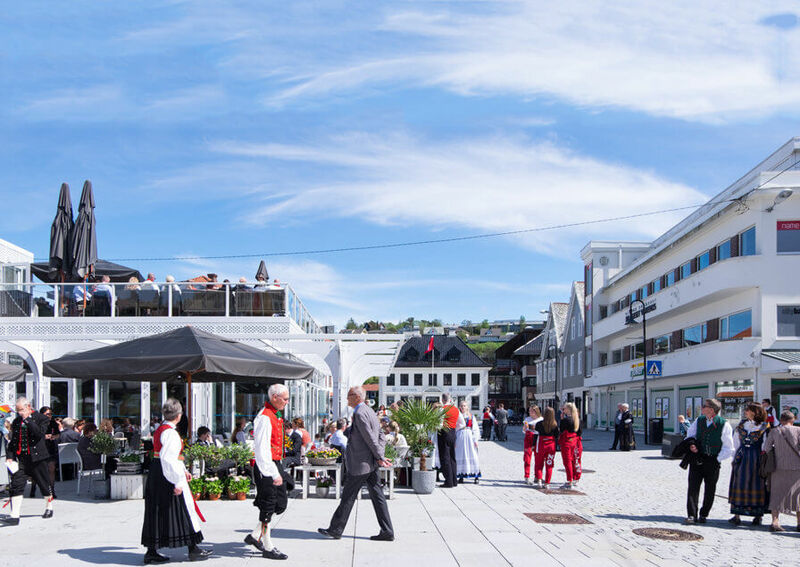 Projects include the New Sunnhetsgrenden Vardheim Healthcare Centre, Bydraget Os Town Centre, and KODE 1 Decorative Art Museum.